If you live in an area that is affected by wildfire and you already have an air purifier, this article will guide you in the use of the air purifier to help make your home or office safer for breathing. If you do not own an air purifier, but are wondering if one might be useful in helping you clean your home, this article will give you some things to consider in purchasing and using one. If you are in an area affected by wildfire, you already know that smoke is composed of a tremendous concentration of very fine particulate matter that can wreak havoc on your health. Even if you seal yourself up in your home, those microscopic particles carried by the wind can seep into your house. Soot, ash, and chemicals in the air can cause irritation to the eyes and lungs and aggravate other respiratory issues that you may have. Even when you stay indoors and close the windows, the ultra-fine particles can still make it inside your home. This is where an air purifier can help out. Wildfire smoke is consists of both large, visible particles of ash, and ultra-fine particles that you cannot see. An air purifier is not going to address the large particles which quickly settle out of the air onto easily wiped-up surfaces. However, these large particles are not the ones you should be concerned with. It is the ultra-fine particles that can cause major respiratory problems and an air purifier will make a significant improvement in this area. Like dust being illuminated by the sunlight coming through the window blinds, these microscopic soot and ash particles are the hardest to spot, but are the ones that do the real damage. Fortunately, an air purifier is capable of filtering these out of your air. 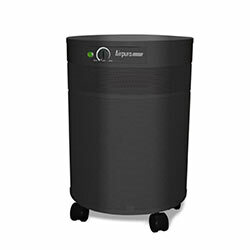 Choose an air purifier with a HEPA filter. HEPA filters deliver the best particle removal performance out of all different filtration types. Avoid “ozone air purifiers” and “ionic air purifiers” as these are not effective at removing fine particulates. 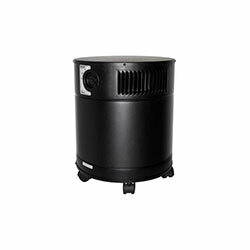 Many air purifiers labeled as “air purifiers for smoke” are designed to remove cigarette smoke, and are not necessarily recommended for wildfire smoke. These air purifiers include special blends of carbon to remove formaldehyde, tar, and other chemicals contained in cigarette smoke. Wildfire Smoke primarily consists of soot and fine ash particles. While there can be some chemicals contained in the smoke, the further away from the fires you are, the less of a concern the chemicals will be. Therefore, our recommended air purifiers will be slightly different than those you would find on a list of “top air purifiers for smoke” which are intended for cigarettes and chemicals. 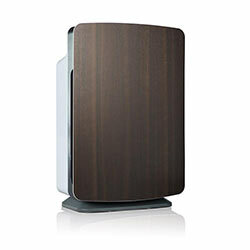 Wherever you spend the most time is where you are going to want to keep your air purifier. If necessary, you can move your air purifier from room to room during the day, but you should certainly try to eliminate the airborne smoke particulate in the bedrooms as soon as possible. You can leave the air purifier off while you do a thorough cleaning - vacuuming, wiping all surfaces and windows clean of the fine smoke and ash dust - then turn the air purifier on high and let it remove what has been stirred up from the cleaning. Unfortunately, depending on what the wind carries in and how much rain you get, you may find it necessary to clean daily for a while. If you already own an air purifier and intend to use it to help your home recover from the onslaught of smoke and ash, you will first want to determine how long it has been since you last replaced the filters. If you have a unit with a filter indicator light, it can be easy to know whether your filter is in good shape or not. If you have other air purifier brands that you have to check the filter manually, try to determine how long it has been since you changed the filters. If they are due, quickly obtain new filters. It is also important that you change the pre-filter, which will prevent the HEPA filter from filling up with the smoke-related particulate too quickly.